Seven people have been arrested after a warrant targeting county lines drug dealing and cuckooing in Bedford. Police officers raided the property in Hurst Grove on Tuesday morning after weeks of intelligence gathering. Inside, officers recovered some suspected Class A drugs, cannabis and drugs related paraphernalia, as well as a number of weapons and some suspected stolen property. Two men and one woman were arrested on suspicion of possession with intent to supply Class A drugs. Another man was arrested on suspicion of possession with intent to supply a Class B drug, while a boy was also arrested on suspicion of being concerned in the supply of controlled drugs. A man and a woman were also arrested for two failure to appears, linked to previous scheduled court appearances. 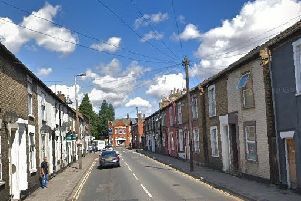 The warrant was carried out under Operation Nola, an operation set up to target county lines and cuckooing in Bedfordshire. Sgt Rebecca Dilley said: “This was another excellent result for the Op Nola team, who have developed the intelligence and moved quickly to make a number of arrests and remove a large number of drugs and weapons from our streets. > Cuckooing is a form of crime in which drug dealers take over the home of a vulnerable person in order to use it as a base for drug dealing. Anyone who suspects drug dealing or any other suspicious activity where they live can report it through the force’s online reporting centre or by calling 101, quoting Operation Nola. Alternatively you can contact Crimestoppers, anonymously, on 0800 555 111.